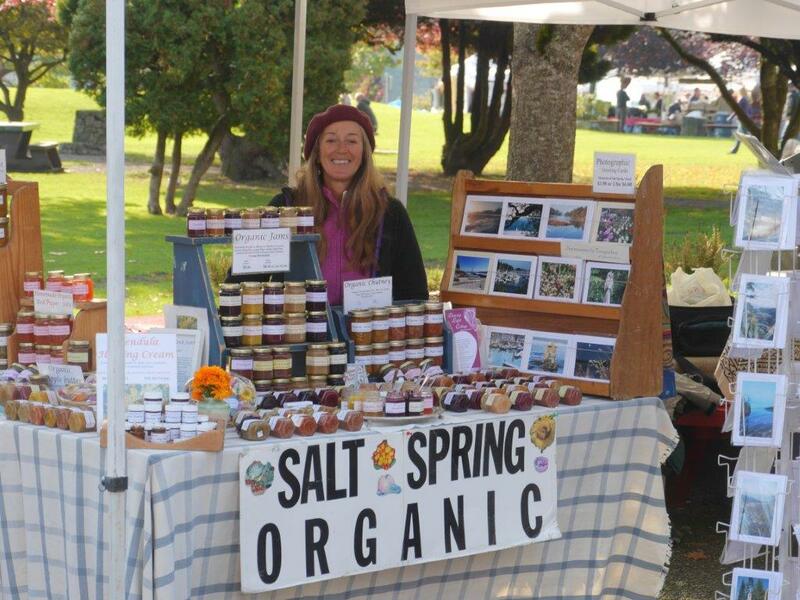 Organically grown jams, jellies and chutneys featuring locally produced fruits, berries and vegetables. Berries are my passion & I grow, or harvest locally, blackberries, raspberries, blueberries & strawberries. Making a statement about reducing our carbon foot-print on this planet. Calendula Healing Cream which is made from the flowers that I grow myself. this cream has been known to relieve hundreds of people from a variety of skin conditions. Also photographic greeting cards capturing the beauty and the magic of Salt Spring Island. Having been a local for 30 years, I know many of our natural treasures whether encountered hiking or from my kayak.